Hello everyone! 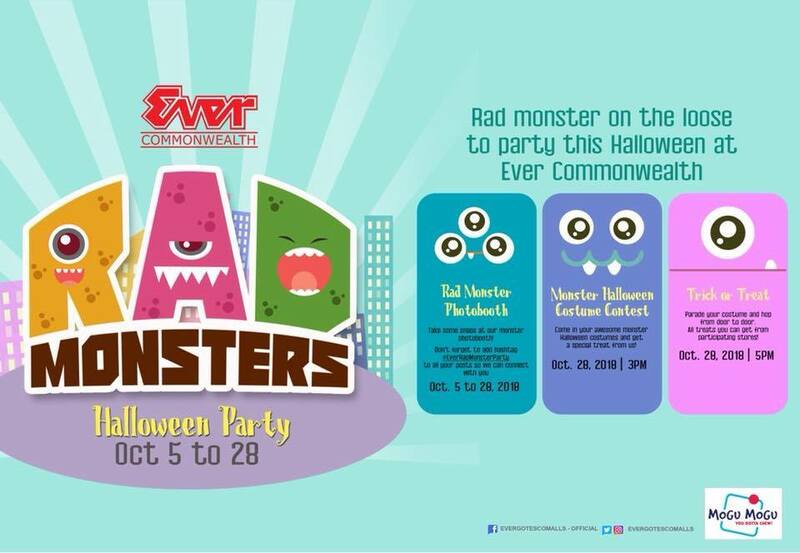 Finally, here's my much-awaited annual listing of Trick or Treat events, parties, and activities for kids in Metro Manila. 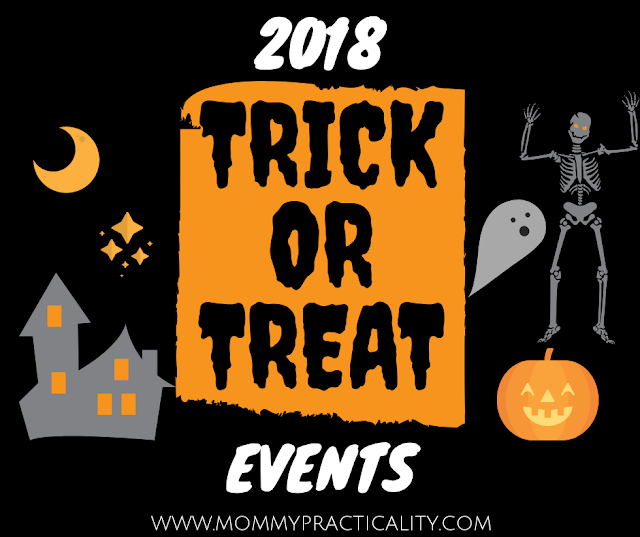 Most of you are my regular blog readers or lurkers or simply just another excited parent who searches for events to go to with your super cute baby or kids in adorable or sometimes scary costumes. Without further delay, here they are! Make sure to be back for more updates loves! 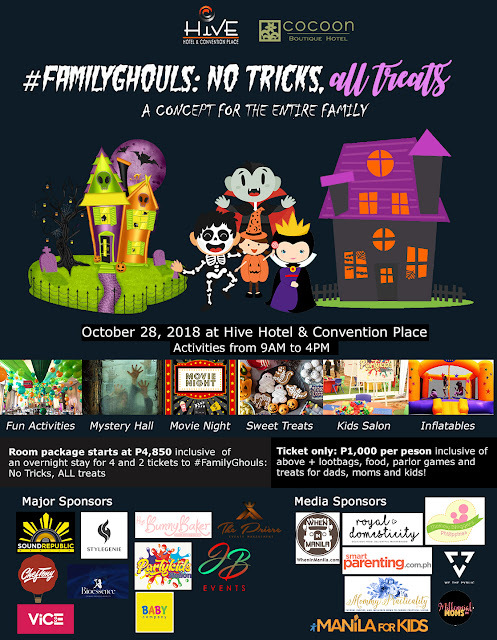 What: Inflatables, face paint, games and prizes for kids and adults, kids’ salon , loot bag of goodies during trick or treating, candy buffet, photobooth, and more. Activities are in store for 13yo and above (yes that includes all adults). 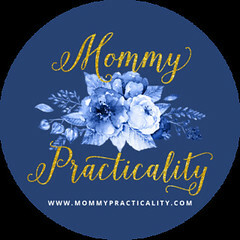 Special activity for moms too! 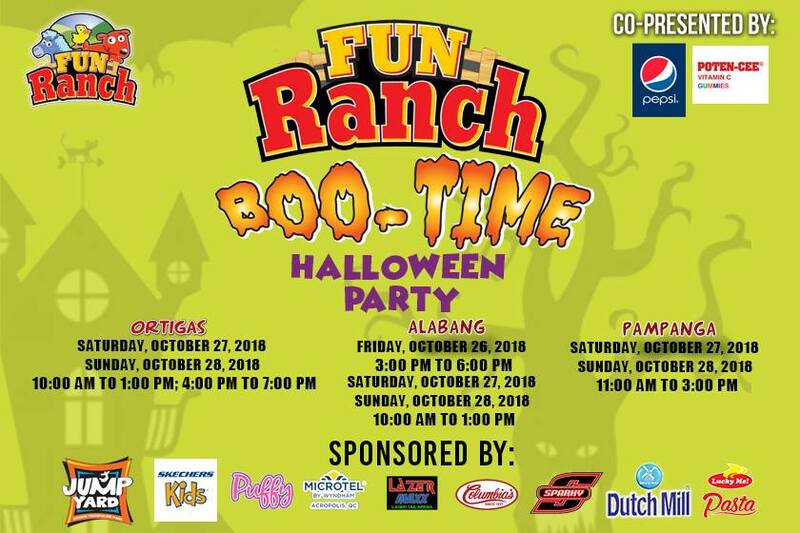 Click: For more details, contact their Sales and Reservations team at 0925 789 99 01 and 0925 789 99 07 to 08 or landline – 208 4748, 208 4753 or 208 4762. 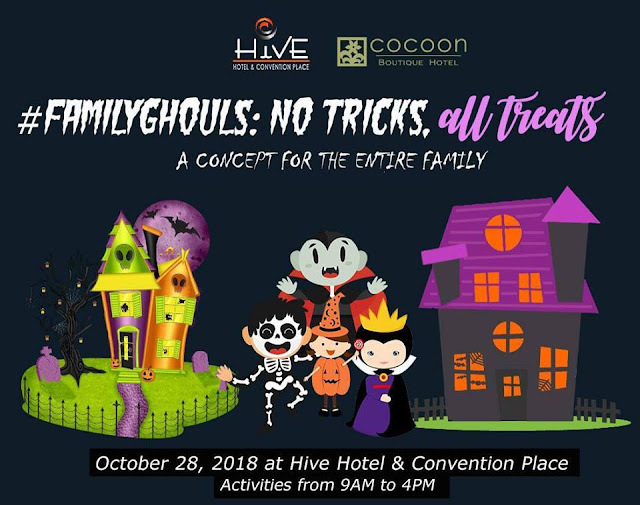 What:Goodies, treats, plus a FREE staycation for Best In Costume! 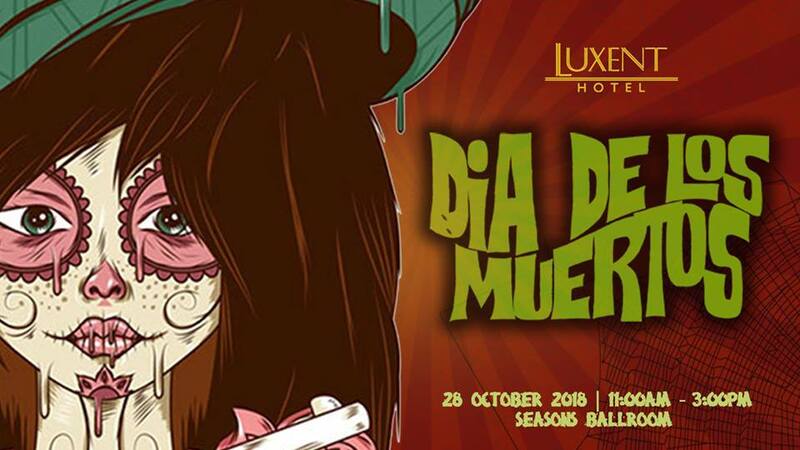 Click: For more details and other inquiries, call (049) 255 8888 or email nuv@sedahotels.com or like them on Facebook. What: Snack buffet, face painting, magic show, lucky draw, photo booth, Best In Costume contest, games and more! Click: For more details and inquiries, 02 750-7500 or like them on Facebook. 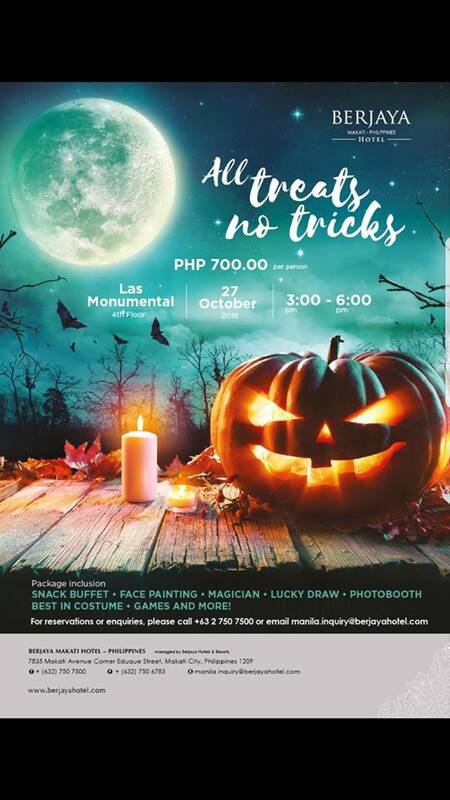 What: Dress in your magical-themed costume and win wicked prizes at PETRIFIED. Activities include: Kids Costume Contest, Pets Costume Contest, Trick or Treat 2 PM, Wizarding World Photo Opportunity, Spellbound Magic Show, Pet Freebies,Pet Quidditch. 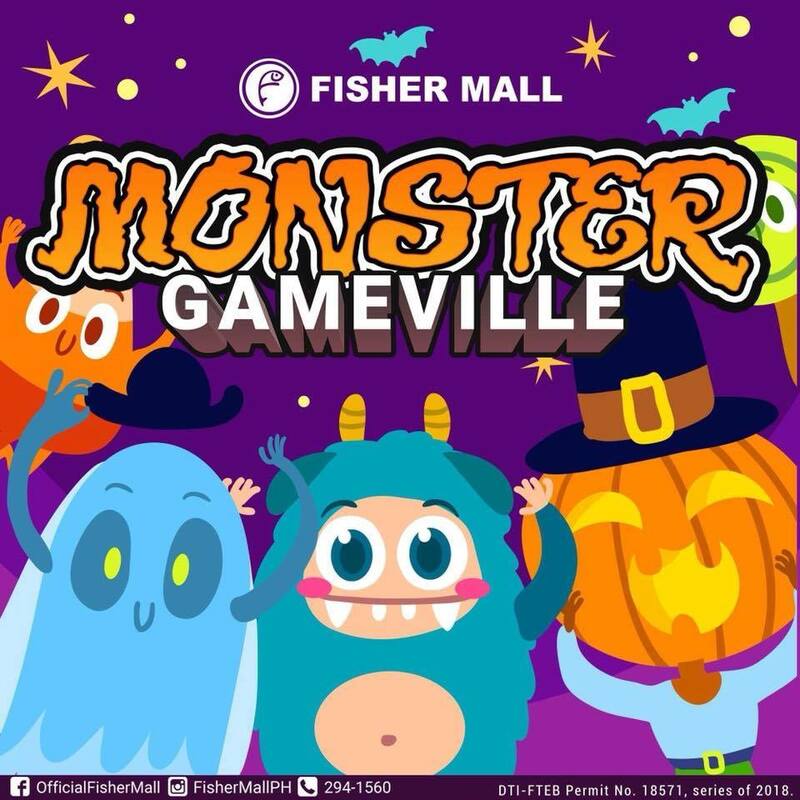 Fee: Php500 single purchase receipt from any Eastwood City retail partners from Oct 26-28. (1) P500 single receipt purchase per pet is required. Participating pets must present a valid Pet Pass. 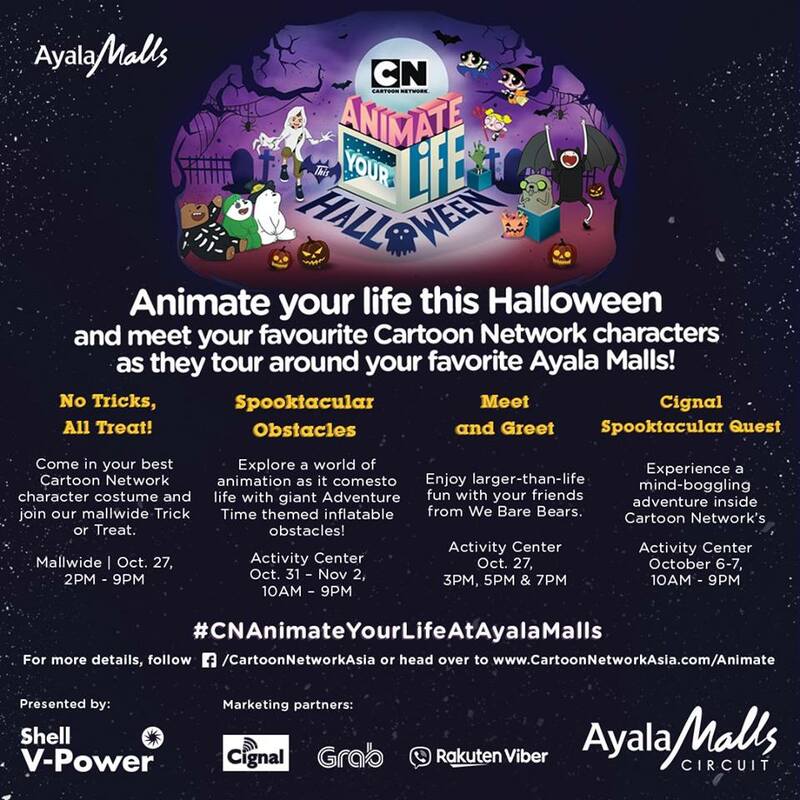 Get one for FREE at the Eastwood Mall Concierge. Make sure to bring your pet's 1x1 photo and latest vaccination records. Click: For details and ticket purchases, like them on Facebook and call (632) 570-7777. 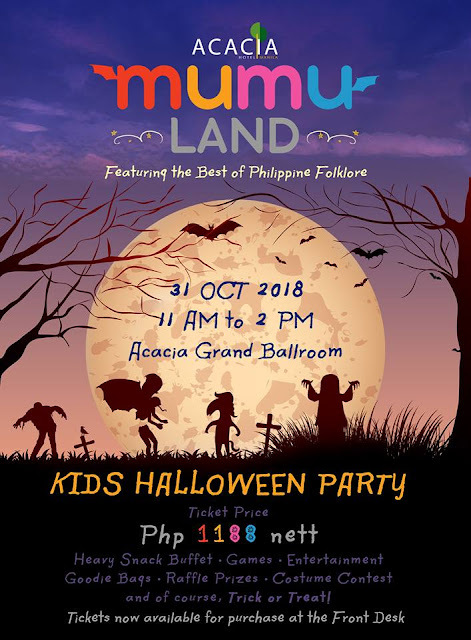 What: Photo booth, Costume Contest and Trick or Treat. 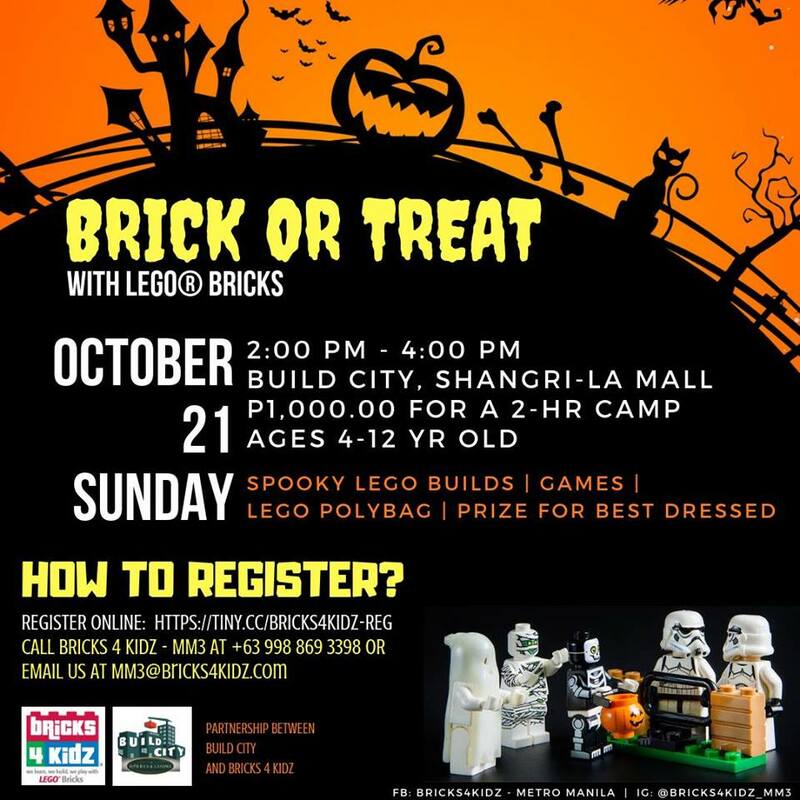 Registration is required, limited slots only. Click: http://bit.ly/2OUrh8N for registration procedure and other details. Follow them on Facebook for updates. 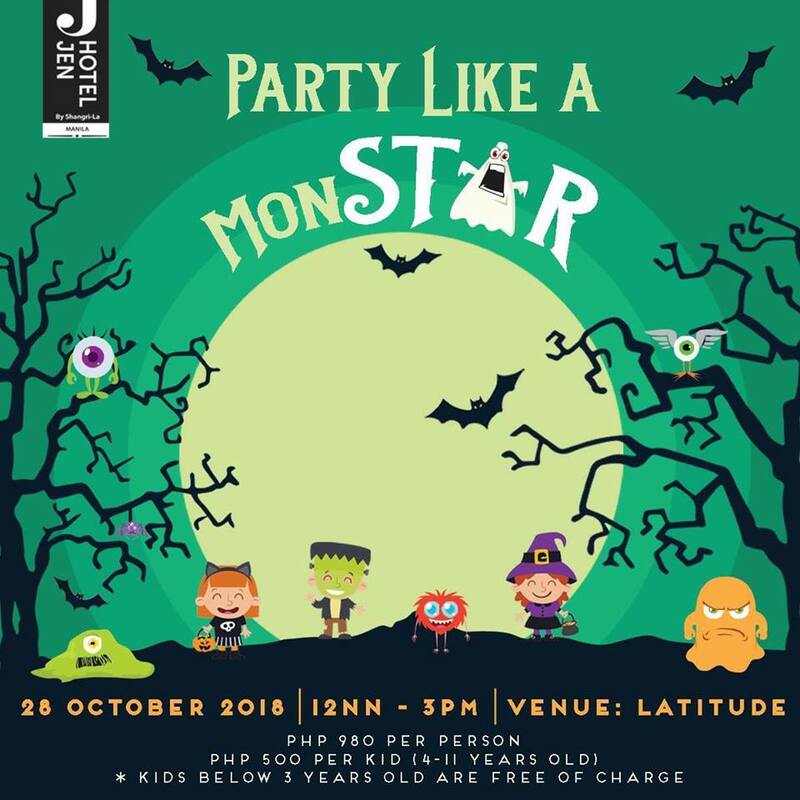 What: Trick or Treat and more. 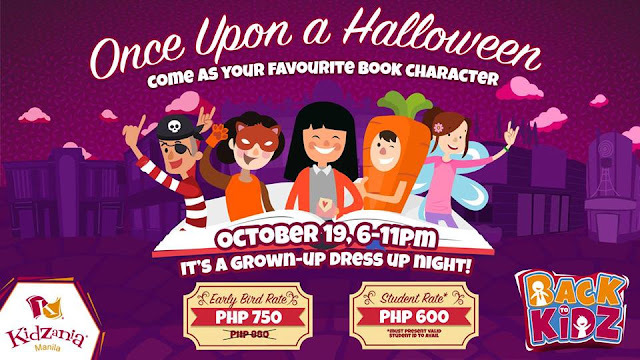 Fee: Php980 nett (adult); Php500nett per child above 3 yo. 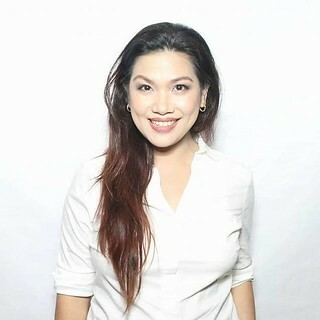 Click: For more information, like them on Facebook or call call (02) 795-8888 or (+63) 917 806 2017. What: Buffet Lunch, Treats, Games, and more! Click: For more info, check their Facebook page. 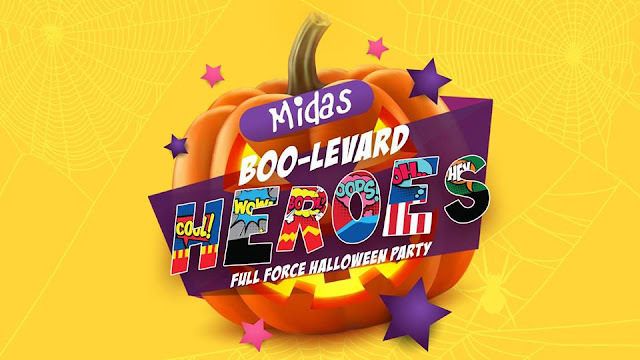 What: Snack buffet, games, entertainment, goodie bags, raffle, costume contest, and trick or treat. 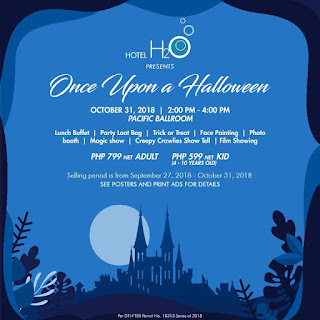 What: Spa tickets for 2, loot bag, food carts, games, food and drinks for 2! Where: ActiveFun Bonifacio Global City and ActiveFun Evia Lifestyle Center. 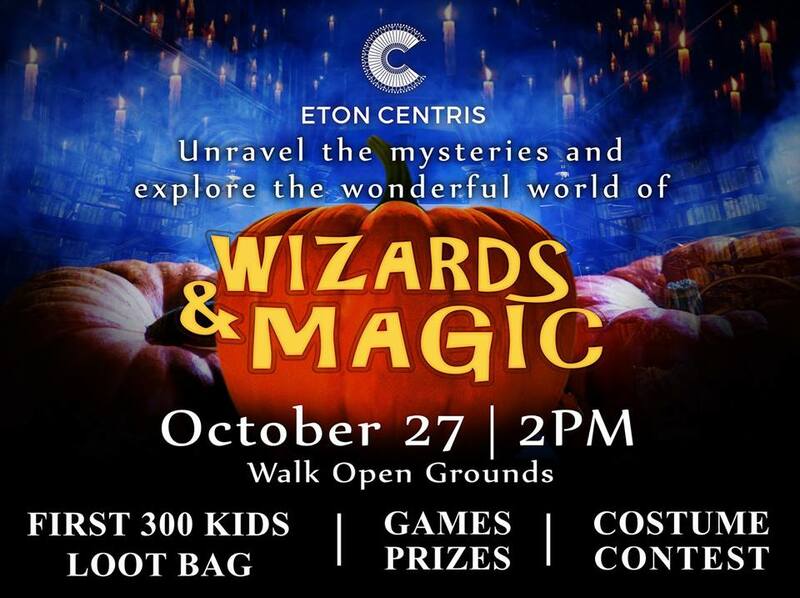 What:Costume contest, magic show, games, prizes, raffle, loot bag, unlimited play, and more! Click: For more information, follow their Facebook page or please call 869-0800 or 869-9509. 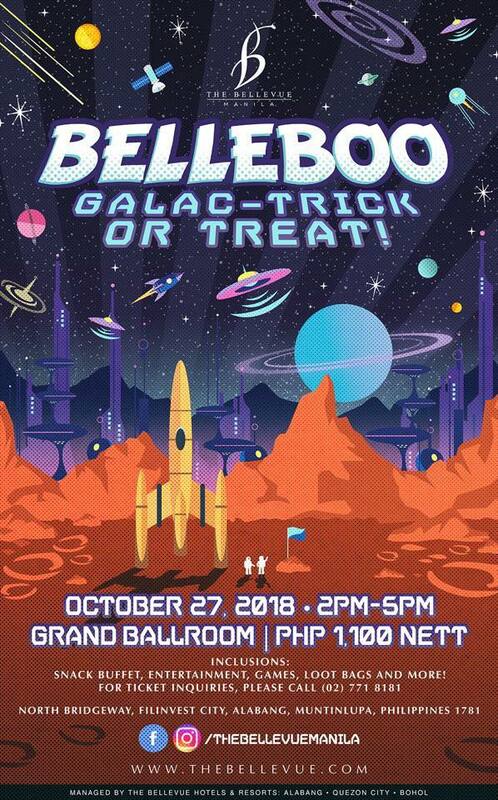 What: Meet and Greet, loot bags, activities, and many more! Fee: Minimum Php500 single purchase receipt for one (1) event pass (Kid + Adult) and FREE item. Click: For more info, follow Cartoon Network Asia on Facebook. 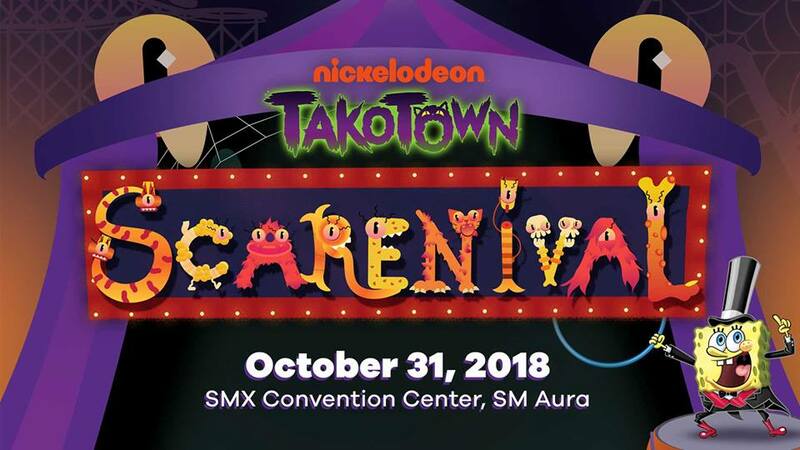 What: Snack buffet, games, entertainment, loot bags, and more! 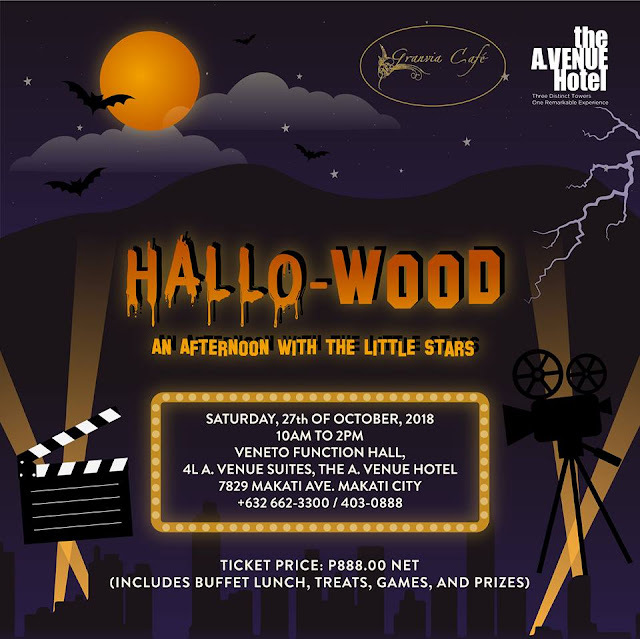 Click: For more information, follow them on Facebook or call 02 771 8181. 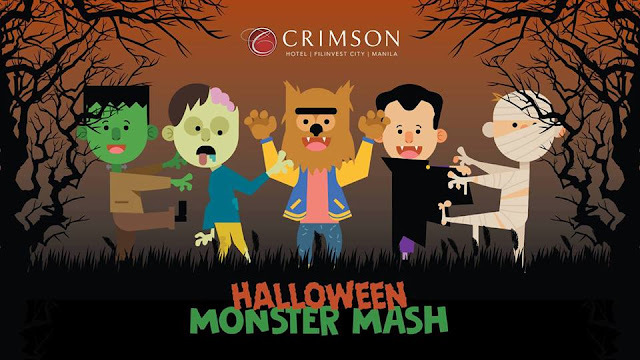 What: Snack buffet, Monsters on Parade Costume contest, photo and glam booths, games and activities, and more! 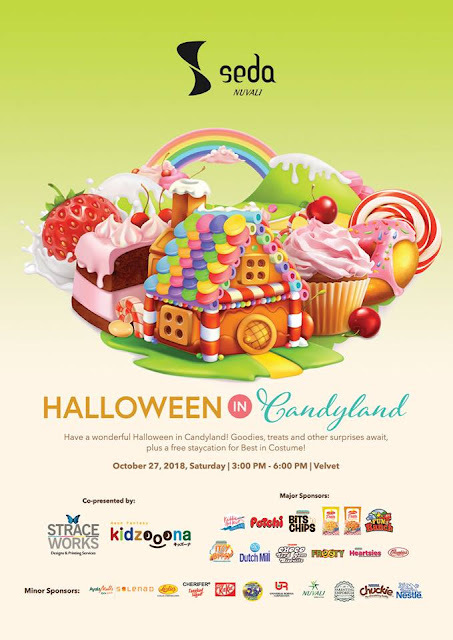 What: Live entertainment, fun-filled activities, exciting giveaways, a delicious bento box meal, a grand dessert buffet and more! Click: For more info, follow them on Facebook or call 633 8888 ext. 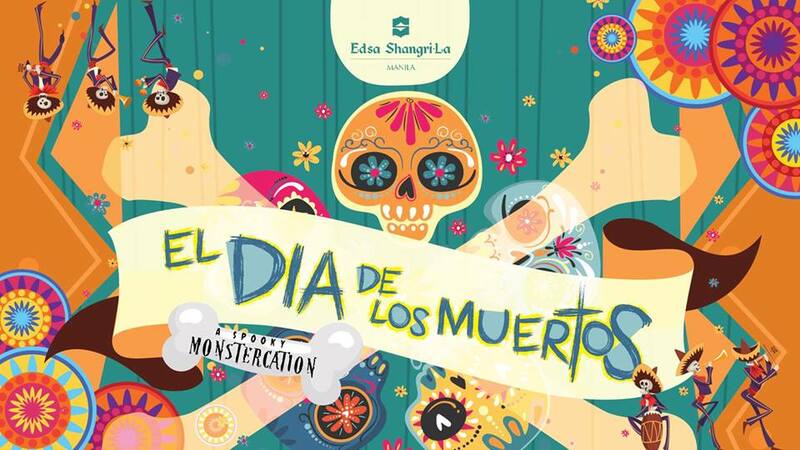 2895 or email events.esl@shangri-la.com. What: Loot bags, games, prizes, costume contest. 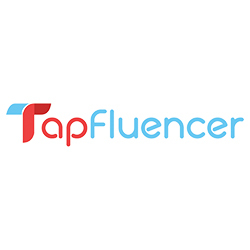 Click: Follow them on Facebook for more info. Click: Follow them on Facebook or call 02 7063019/02 6872870. What: Lunch buffet, party loot bag, trick or treat, face painting, photo booth, magic show, film showing and many more! 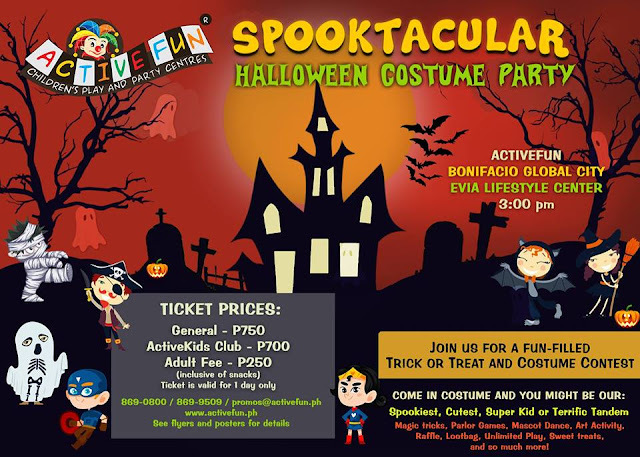 What: Games, magic show, activities, raffle, costume contest, and more! 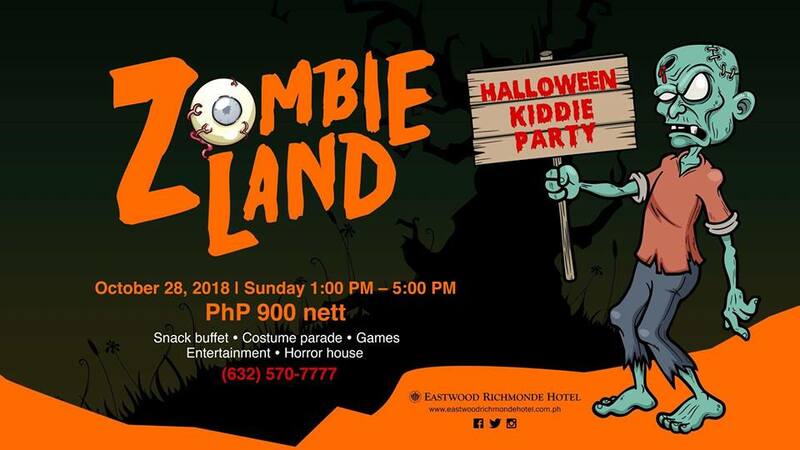 What: Lunch buffet, access to all kiddie stations, freebies and goodies for kids, photo souvenir. Click: For more info and go to their WEBSITE or follow them on Facebook. You may also register HERE. Fee:Every minimum single receipt purchase of PhP1,000.00 of any toy, inclusive of Halloween items, at any of the participating branches of Toy Kingdom and Toy Kingdom Express entitles customer to tow (2) tickets. 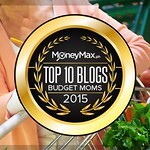 So there you have it moms and dads! 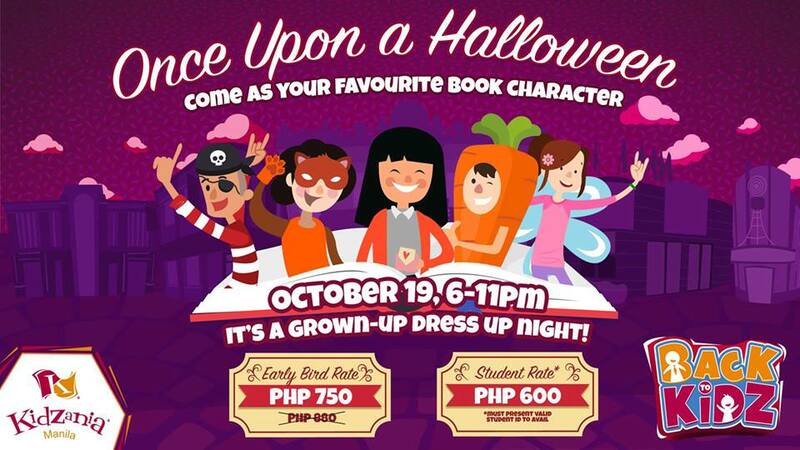 Excited to dress up your little ones for these events? Me too! Have a Happy Halloween and enjoy the Trick or Treat activities with your little ones! Don't forget to create wonderful memories with them! Do come back to this post because I will be updating this constantly for more events around the metro!